Our lives are filled with challenges which can make it quite hard to be positive all the time. Some have a natural inclination to see things more positively than others. Many would probably agree that positive people are happier and have fullfillment in their lives. Positivity is a state of mind and the answer lies in our perspective. Strive to become a positive person. The desire will come only if you are convinced that becoming positive will enhance your quality of life. Say affirmations each day until they sink in and reverberate within every cell of your being. Use visualization to get clarity on what you really want. Create a vision board and place it where you can see it regularly. Practice expressing gratitude for all that you have in your life. Read motivational books as these can make you feel empowered. Listen to music that can energize you. Take up positive activities such as running or any other form of exercise. You'll find yourself beaming with positive energy. 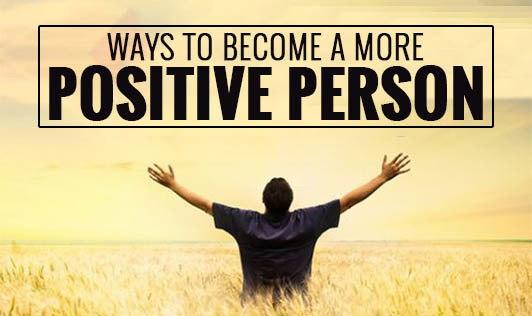 Try these regularly and you'll be surprised at the positive feelings you will begin to experience!